Back in March of this year, I had a very bad experience with a media company refusing to pay me and answer my emails. They still owe me thousands of dollars and the feeling of rage I have permeates everyday. Turns out I am not alone though, and hundreds of other website owners are in the same boat. It's sort of par for the course with digital advertising. In all honesty, I've had this blog for a long time and I have bounced around different ad networks in the past. After removing the ad units from that company who stiffed me, I was back to square one. I should also note that I never quite liked Googles AdSense product, only because it feels like the "bottom of the barrel" of display ads. Not from a quality perspective, but from a revenue one. From what I understand, you want Google advertising on your site, but you also want other big companies and agencies doing it as well. That way you maximize the demand and revenue. After my negative experience I got recommend a company called Newor Media. And if I'm honest I wasn't sold at first mostly because I couldn't find much information on them. I did find a couple decent reviews on other sites, and after talking to someone there, I decided to give it a try. I will say that they are SUPER helpful. Every network I have ever worked with has been pretty short with me in terms of answers and getting going. They answered every question and it was a really encouraging process. They pushed the first payment to me on time with Paypal. But because I'm not in the U.S (and this happens for everyone I think), I got a fee taken out from Paypal. I emailed my representative about it, asking if there was a way to avoid that in the future. They said that they couldn't avoid the fee, but that they would REIMBURSE ALL FEES.... INCLUDING THE MOST RECENT PAYMENT! Not only that, but the reimbursement payment was received within 10 MINUTES! When have you ever been able to make a request like that without having to be forwarded to the "finance department" to then never be responded to. The bottom line is that I love this company. I might be able to make more somewhere else, I'm not really sure, but they have a publisher for life with me. I'm not a huge site and I don't generate a ton of income, but I feel like a very important client when I talk to them. It's genuinely a breathe of fresh air in an industry that is ripe with fraud and non-responsiveness. Microcomputers that have been created by the Raspberry Pi Foundation in 2012 have been hugely successful in sparking levels of creativity in young children and this UK based company began offering learn-to-code startup programs like pi-top an Kano. There is now a new startup that is making use of Pi electronics, and the device is known as Pip, a handheld console that offers a touchscreen, multiple ports, control buttons and speakers. The idea behind the device is to engage younger individuals with a game device that is retro but will also offer a code learning experience through a web based platform. Coding has a great future, and even if children will not be using coding as a career, they can benefit from learning how to code with this new device that makes it easier than ever. With Pip, even the youngest coding enthusiasts will learn different languages and will be well on their way to creating their own codes, own games, own apps and more. It is the future of the electronic era and Pip allows the basic building blocks of coding to be mastered. 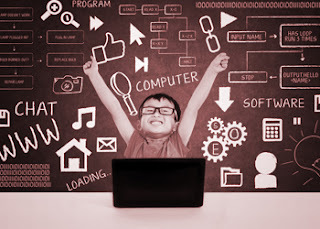 Computer science has become an important part of education and with devices like the new Pip, children can start to enhance their education at home while having fun. Coding goes far beyond simply creating websites or software. It can be used to enhance safety in a city, to help with research in the medical field and much more. Since we now live in a world that is dominated by software, coding is the future and it is important for all children to at least have a basic understanding of how it works, even if they never make use of these skills as a career. In terms of the future, coding will be a critical component of daily life. It will be the language of the world and not knowing computers or how they work can pose challenges that are just as difficult to overcome as illiteracy. Coding will also provide major changes in the gaming world, especially when it comes to online gaming, including the access of online casinos. To see just how coding has already enhanced the gaming world, take a look at a few top rated casino sites that rely on coding. Take a quick peek to check it out and see just how coding can present realistic environments online. 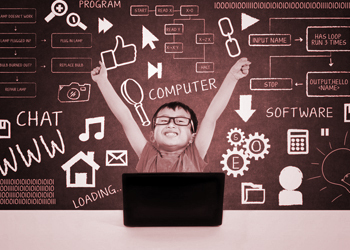 When it comes to the opportunity to learn coding, children have many options. There are a number of devices and hardware gizmos that can be purchased, but Pip takes a different approach with their device. The portability of the device and the touchscreen offer an advantage to other coding devices that are on the market. Pip will be fully compatible with electronic components in addition to the Raspberry Pi HAT system. The device uses standard languages and has basic tools and is a perfect device for any beginner coder. The goal is to remove any barriers between an idea and creation and make tools immediately available for use. One of the other great advantages of Pip is that it uses a SD card, so it can be used as a desktop computer as well when it is connected to a monitor and mouse. Future innovation largely depends on a child’s current ability to code and their overall understanding of the process. As children learn to code at an early age by using such devices as the new Pip, they will gain the skills and knowledge to create amazing things in the future. This could be the introduction of new games or apps or even ideas that can come to life to help with medical research and treatments. There are endless possibilities. Since our future will be controlled by software and computers, starting young is the best way to go, which is why the new Pip is geared towards the young crowd. By offering a console device that can play games while teaching coding skills, young members of society are well on their way to being the creators of software in the future that will change all our lives. This is just the beginning, but it is something that millions of children all over the world are starting to learn and master. With the use of devices like Pip, coding basics are covered and children will quickly learn the different coding languages that can lead down amazing paths as they enter adulthood. 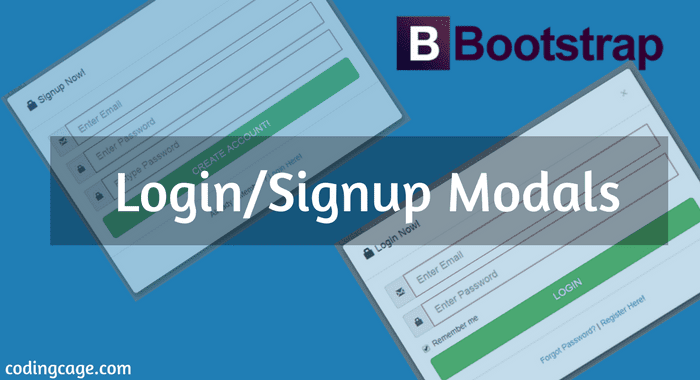 Hello friends, Today in this tutorial we will see How to design Login, Signup & Forgot Password Modal Forms using Bootstrap. Creating and customizing these bootstrap modals are quite easy, i mean literally easy, Modals allow you to open excellent pop-up windows within the same page without redirecting to any separate pages for any particular task, E.g Separate Login/Signup pages, Having Modal Forms on website gives better UI. In this example i have covered login, signup and forgot password modals which you can create easily, let's take a look. Today in this tutorial i am gonna show you How to create Responsive static and fixed navigation Menu bars , headers using Bootstrap. Navigation bar is a navigation header that is placed at the top of the page and can be extend or collapse depending on the screen size, Bootstrap made it easy. Now we will cover here creating a static and fixed top navigation bars along with drop-down menu and with search box. 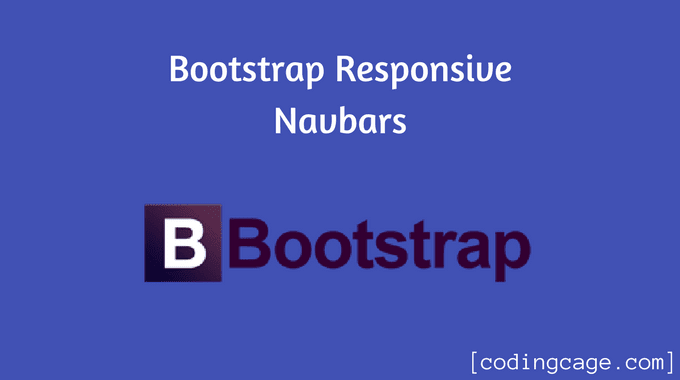 It can be made using Bootstrap's Navbar component. These responsive navbar initially collapsed on devices. i have used here latest bootstrap version 3.3.7, so have a look at this simple yet useful tutorial. 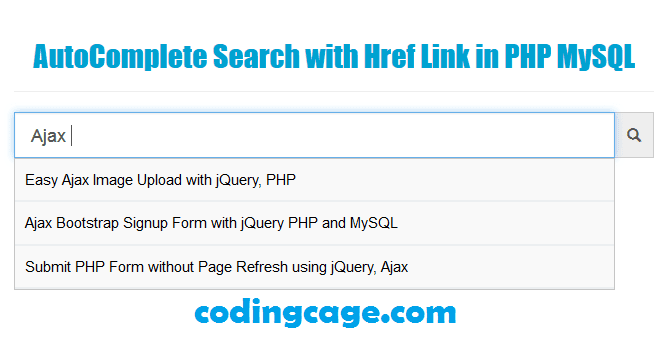 Hi friends, hope you all are doing well, Today in this tutorial we will see an example of Autocomplete Search Box with PHP MySQL, Not only autocomplete we will make it more dynamic with remote datasource, in short this example provides suggestion while you type in search box and the suggestion will be coming from server-side script which returns JSON Data. this widget makes searching much easier you can use this widget for any type of search that you want in your website cause getting suggestion while typing seems cool and more user friendly, any search like post, products, category, catalogs or anything else that you want for your web project. you must have seen autocomplete search example on facebook and twitter so it makes searching someone easier on those social sites, so let's have a look at this simple quite useful widget tutorial and before proceeding you can check the demo.